Have you ever been scheduled to link up with another blogger but can't remember what date and time it was? Have you ever had a great idea for a product and wrote it down....somewhere ....but can't remember where? I would schedule these things on my phone or use the "note" app and then forgot about it. I needed a better system. Something that could keep me organized. 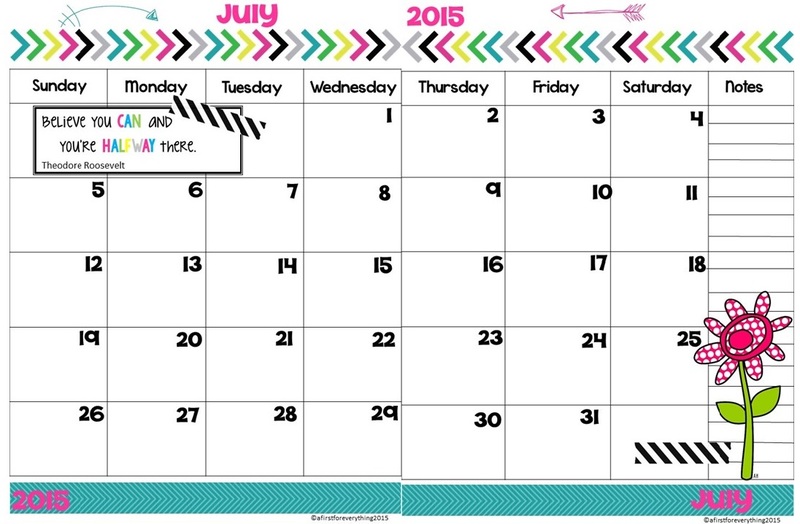 I wanted all my TPT and blog data in one place since I often work on both at the same time. 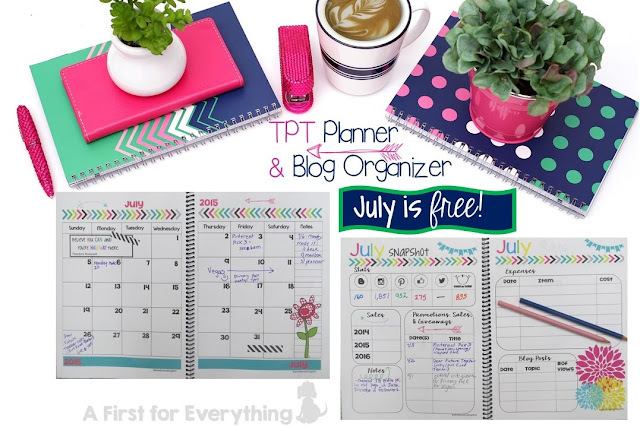 I am sooooo excited about this TPT Planner and Blog Organizer! 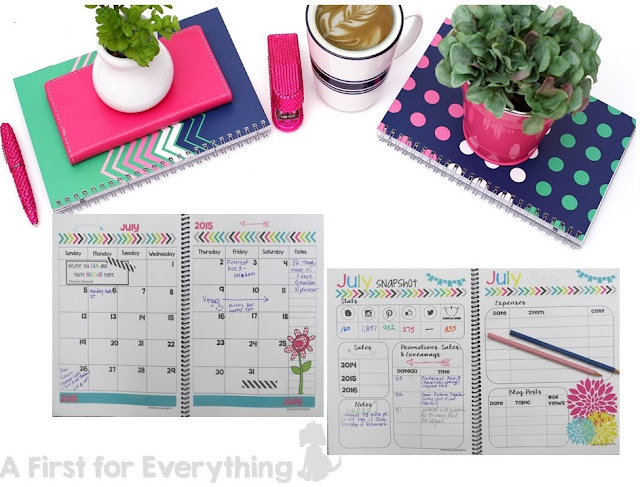 This modern and colorful planner has everything I need to help me to organize and manage blog posts, sales and promotions and giveaways that I participate in. I also use it to help track the number of followers I have each month in social media. I look for trends based on the content I post in my blog and store. Are my followers increasing each month? Is the growth rate steady? 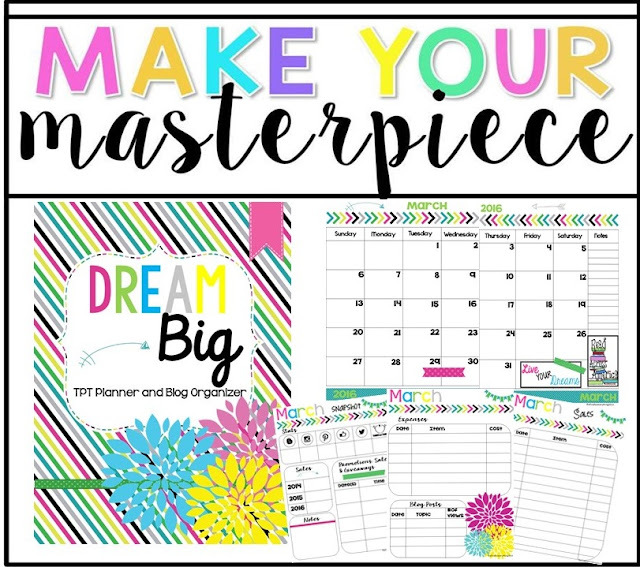 I also plan my TPT products using the product planning sheet by listing the idea/topic, subject area, clipart used to make the product and expenses accrued as a result. With beautiful papers, accents, and quotes this resource not only helps me to be more you organized, I feel good doing it! -Notes section to record thoughts and notes to self. -Product log to record time spent creating and expenses per product. You can get the TPT Planner and Blog Organizer for the month of July FREE here to try it out. This product marks week 3 for me of the TPT seller challenge. Many thanks to Sparkling in Second, Teach, Create, Motivate, Peppy Zest Teacherista, and Third in Hollywood for hosting! Wow! Your masterpiece is amazing! I love it! What a great idea! Oh thanks so much, Michelle! You are so sweet. Wow! I love your masterpiece! Definitely pinning it today! Thanks so much, Rissa. You are so kind. I hope you are having a wonderful summer. Thanks so much, Karen! Thanks again for your help with proofreading. You are awesome at it. I'd love to ask you to help again in the future if you don't mind. Awww thanks so much Regina. You are so kind. You made my day!